There was no shortage of moments that caught the attention of hockey fans over the last seven days, including Flyers fans losing their hats for no reason, Radek Faksa's best Tony Hawk impression, and some non-motivational speaking from the coach of the Carolina Hurricanes. 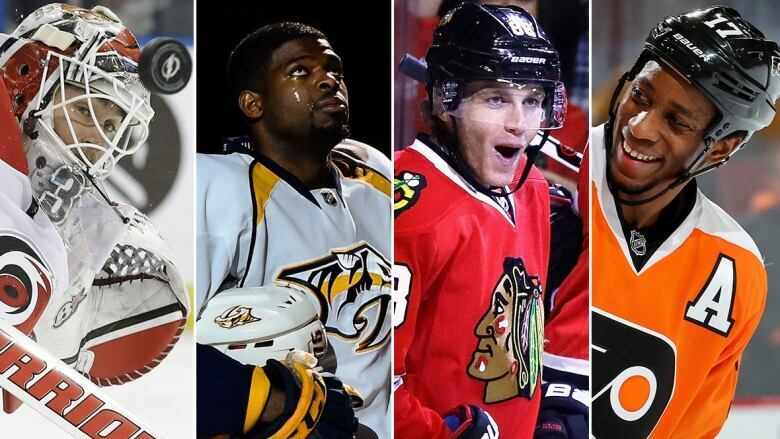 Another week of the NHL season has come and gone, but not without teaching us a few lessons along the way. Here's a look back at some of the most exciting and/or strange events that caught the attention of hockey fans over the last seven days and what we learned from them. Impressive: Patrick Kane was the first Blackhawk to score two hat tricks in a span of three games since 1991. More impressive: He notched the second one on Wednesday against the powerhouse Pittsburgh Penguins. Most impressive: His empty-net goal, which was scored from a near-impossible angle and on the backhand. A Jakub Voracek goal has never been booed so much in Philadelphia. To be fair to the crowd, they thought Wayne Simmonds had scored his third of the game, and promptly tossed their hats in celebration. There is some good news to come out of this hat-tossing mix-up — Voracek will match the amount of hats thrown on the ice (which were tallied at 396) and send new Flyers caps to a local Philadelphia hospital. Flyers clarify. Say Voracek will donate about $6,000 of Flyers hats to CHOP and other children's hospitals. Great gesture. Well, it seems Cam Ward's starting job is safe. Carolina Hurricanes coach Bill Peters gave backup netminder Eddie Lack a vote of non-confidence when speaking to reporters on Friday. For the record, Peters' numbers are correct: The average save percentage in the NHL is .913, and among goalies who have played at least nine games this season, Lack ranks 60th out of 60.